Aoki Lee Simmons - daughter of Russell and Kimora Lee Simmons - is making her parents proud with the way she's handling blatant racism inside her own high school. 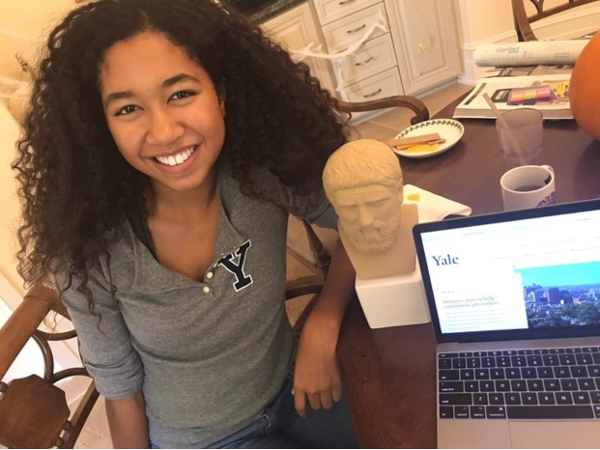 The high school student - who recently applied to Yale and Harvard - put one of her non-black classmates on blast for repeatedly calling her the n-word. Aoki reached her breaking point, so she hopped on Instagram Live to air out her frustrations about the way this one particular classmate keeps disrespecting her. “I know so many people go through the same thing, it’s not just me and we all have these kinds of problems. But I am so over people at my school being racist and no one doing anything about it,” she said in the live video posted to her Instagram account. Listen, Aoki doesn't have time for racist kids in her school because she's focused on getting into Yale and Harvard. OK? "'N*gger are you on crack or something?' I was like, 'WHAT? What are you talking about?'" Aoki said she has been asking him to STOP calling her the n-word since she met him. He hasn't and it makes her SO mad. She's just trying to live her life and he keeps invading her space with hateful comments. She has given up trying to get him to stop using the word all together, but she will NOT allow him to keep calling her the n-word. PERIOD. We hate she had to go through something like this, but she's handling it like a pro! Salute! CNN is getting called out by advocacy groups for their lack of representation in leadership roles at the network. Somebody had to do it. The National Association for the Advancement of Colored People (NAACP) has joined the National Association of Black Journalists (NABJ) and they are putting the network on blast for not hiring more African-American executives. 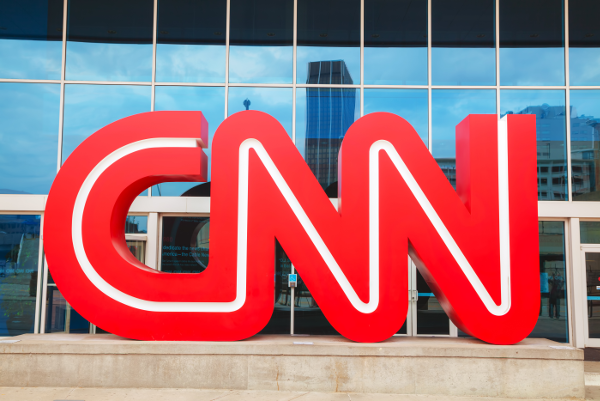 “CNN’s lack of black representation in leadership roles is troubling and another example of the media industry’s reluctance to address an issue that continues to plague newsrooms across the country,” the NAACP said in a statement via their website. “It is vital that news organizations reflect the diversity of our country, which includes people of color in key decision-making roles which are responsible for shaping news coverage and providing nuanced perspectives, especially around issues directly impacting Black America. For months, we have been working with NABJ to schedule a meeting because the relationship between CNN and NABJ is very important to us. As we have told them many times, we look forward to a thoughtful discussion about how both of our organizations can continue to work together. Unfortunately, the significant and reckless damage that Roland Martin did to CNN while partnering with us during a 2016 Democratic Town Hall has made any meeting that includes him untenable. Mr. Martin displayed an unprecedented and egregious lack of journalistic ethics and integrity by leaking questions prior to the town hall. As a result, we have told NABJ that CNN will not participate in any meeting that includes him. We have made it abundantly clear that we would be more than happy to sit down with the rest of their leadership team as soon as possible, and that offer still stands. PREVIOUS: MAKE IT MAKE SENSE! How Does Tyga Keep Buying More Whips While Constantly Getting Hit By The Repo Man?